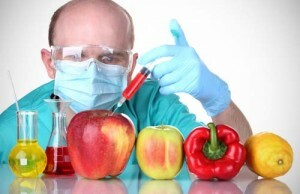 Are genetically modified foods safe or harmful? Regulatory authorities in some countries have allowed the use of GM foods in the market yet many people are still concerned about safety. While the debate on GM food safety still continues, huge numbers of foods contain ingredients derived from genetically modified organisms. With a growing health-conscious society, manufacturers are at pressure to disclose the ingredients contained in their products publicly. In Europe for example, the law requires that all GM foods be labeled. Due to this it is fairly easy to avoid GM foods and many GM food items have not been selling well, or have been taken off the market completely. In many other countries however, food manufacturers are not always required to label their products as GM or non-GM. GMO crops are allegedly engineered to survive pests, diseases, and herbicides. This has not always worked out the way scientists have intended and many problems have arisen. Despite claims by biotech companies that these plants are safe and not harmful to the environment, many scientists and activists dispute these claims. Many people fear that processed foods containing GMOs may threaten their health, and others relay concern about the long-term negative effects of GMO crops on the environment: on soils, insects and on other crops. If you’d prefer to avoid eating GMOs but don’t know where to start, here are a few tips on keeping any genetically engineered products out of your diet. Organic products should never contain any GMO ingredients. These products are often labeled “100 percent organic” or “contains organic ingredients”, however be wary of those labeled like the later. Just because food contain some organic ingredients does not mean that all ingredients are organic or non-gmo. Some products have verified seals showing they are non-GMO. Next time you visit your local grocery store, look out for labels and seals that state that the products are organic. 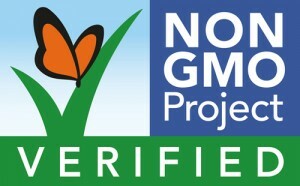 Look for Non-GMO Project seals as it is important to choose products that have been verified as non-GMO by third parties such as the Non-GMO Project. The Project is a non-profit organization that offers independent GMO tests, confirmation and labeling for non-GMO products. Verification is done through a step by step process using separation, traceability and testing in compliance with its standards. The Non-GMO Project is dedicated to providing consumers independently verified non-GMO food choices. These are the most prolific GMO products. Avoid products made with such ingredients as they will most likely be GMO derived. The more processed a product is, the more likely it is to be genetically modified e.g. cornflour, canola oil, soybean oil, cottonseed oil, high fructose corn syrup etc. are almost always GMO. If products made from the above are not labeled as non-GMO or organic, they will almost certainly be genetically modified. This is especially true for products manufactured in the USA, where more local crops are GM compared with most other nations. Learn to read labels carefully to stop you and your family from eating GM foods. Once you begin to read labels more often, you’ll realize just how many products are made with GMO derived ingredients. Plenty of fruits and veggies are non-GMO. Only a few GM produce items are grown commercially: papaya, squash, corn, zucchini, potatoes, tomatoes and soybeans. As such, you can be sure to consume non-GMO foods when you buy fresh produce. Processed foods are associated with convenience but, what you lose in convenience is recovered in a healthier lifestyle. What’s more, you end up saving lots of cash that could be used for other endeavours. Our Brisbane chefs recommend buying real fruit and vegetables more often, and try to cook meals from scratch. Shopping locally will reduce your risk of purchasing GMOs as most GM foods are produced at large industrial farms and sold to multinational grocery chains. By buying produce from the local farmer or signing up with a local cooperative, you will find it easier to avoid GM products. A lot of small farms offer fresh food to customers directly. Shopping locally also gives you the opportunity to talk to the farmer and find out the seeds he is using i.e. if they are genetically engineered. In conclusion, while we may not be able to force mandatory labeling or stop to expansion of GM products, we can vote with out wallets. With these few pointers, you can avoid GM products, and give money back to the farmers who aren’t growing the foods we might want to avoid. Remember though, labels like “all natural” don’t mean anything. They are just smart marketing strategies that do not prove products are GM-free.